Energy. It’s all around us, it is us, it is constantly moving and changing. Everything emits energy. It has been referred to as Prana, Chi, Ka, among other names by various religions. An aura is a vibration of the energy field surrounding matter, living and non-living. An aura can be seen as a solid color or layers of colors around matter. It can be faint, indirect, or a sophisticated luminous radiation, with color points, often appearing within a 2-3 ft. of a field, particularly above the head or where bare skin is exposed (when viewing living matter). These vibrations consist of electromagnetic radiation, extending from microwave to infrared and UV light. Low-frequency microwave and infrared parts of the spectrum, or body heat seem to relate to the lower levels of our bodily functions (circulation, DNA structure, metabolism) and the high frequency (UV part) relates to our conscious activity (emotions, thinking, creativity, intentions). Auras can be seen around humans, plants, and even inanimate objects. They are also seen around non-living objects (crystals, stones, fire, water, even air) but these are fundamentally fixed. They don't change unless altered by conscious human intent which is then infused into the nonliving material. When you read an aura, you're essentially reading the energy vibration field surrounding matter. For some, reading auras comes as a natural ability. For others, it takes some practice. But it is something that can be learned once you've trained your eyes and it is available for all to see. After all, it is part of nature and what we are. Children see auras very well but usually lose this vision once a peripheral site is no longer exercised. I have been seeing auras since around the age of 12. Sometimes I see them intensely and sometimes not very well at all. Sometimes I see energy "in the air," like grayish smoke mist, or a heat wave. There really is no other way to describe it. Sometimes it shimmers, sparkles, swirls, or spikes. Reading an aura and discerning information is the tricky part! Discerning what is and what isn't the truth is the challenge. It's important to take into consideration what colors mean personally to you. Although many colors invoke certain emotions, pay attention to what they mean for you. As an example, red for some may mean love or passion. For another "antenna," which is what you are if you pick up this information, red may mean hatred, malice or envy. Follow your instincts. When viewing a color, notice what message seeing it may mean for you. Does it give you information that you can pass on to others? Does it offer solutions to heal, restore, and strengthen their energy field? If no solution is available, sometimes it is best to keep your reading to yourself. There are also different layers of the body that will show emotional or etheric auras, for the purpose of this article, we'll cover emotional layers. They tend to show up quickly and change rapidly, just like human emotions. Low frequency emotions-anger, greed, hatred, envy, etc.. Besides being fun and entertaining, it can help you interact with your environment and people. By gauging someone's mood you can react accordingly. When reading auras you can create the most emotionally beneficial situation and produce desired outcomes almost every time you interact with others. A person can lie, but an aura cannot. In a way, it is a changing spiritual fingerprint. There are stable bases, and then other levels that fluctuate depending on mood. Auras reveal intent and cannot be faked. Everyone has one, but some are dull or weak. Undeveloped consciousness will weaken an aura. Having lower vibration emotions such as fear, envy, hatred, jealousy, and other similar emotions will also lessen the aura field. Reading auras can also help heal, at times even diagnose problems or sickness in the body long before physical symptoms have even appeared. By controlling your own aura you can also heal yourself. But the best benefit comes from gaining awareness about nature, spiritual enlightenment, and development as well as higher vibration consciousness, raising our frequencies to that of spirituality, love, trust, compassion, honesty, integrity, and the capacity of being non-judgmental. You can begin to easily see and read energy auras. Here's how. Place the below picture 1-2 ft in front of yourself. Focus on the center black dot for 60 seconds. Resist the desire to look anywhere else. Just focus. Observe the circles as you focus on the dot and notice any colors changing around the circles. This happens because peripheral sensors (that are often not used) in the eye begin being stimulated. When you begin to see human or object auras, they will resemble what you see in these circles. With practice, they will appear clearer and more intense. This exercise is harder. Practice in intervals to avoid headaches, 1-2 minutes, then 3-5 minutes (best without blinking), and work your way up to 25-45 minutes. 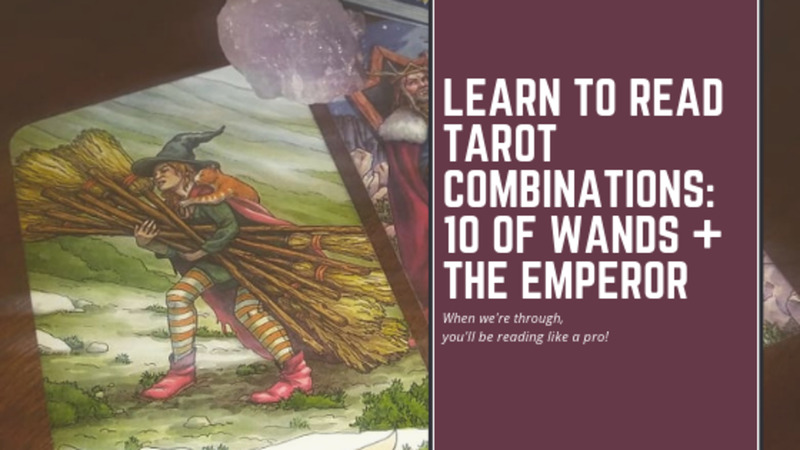 Once you can do this, you will notice a huge improvement in auric ability. With the next photo, the goal will be to improve the communication between the left and right brain hemispheres, increasing your natural ability to see auras. Place this picture, like the other, about 1-2 ft in front of you. Overlook the circle, you should see a total of 3 or 4 circles become visible (for children of the 90's, you'll remember this as "magic eye"), now adjust your vision to overlap the circles. What you should see is one circle with what appears to have a cross in the center. Once this appears, you will know that your two brain hemispheres are communicating. Initially, the cross will be unstable, you may see the horizontal line better than the vertical line or vice versa. Adjust the distance as needed to obtain maintaining a balanced cross. One line in the cross will usually appear "in front" of the other. This means, one of your brain hemispheres is more dominant. Try and focus on getting the "hidden" line in front as much as possible. The final goal is to achieve and maintain a completely balanced cross. What you will notice is improved concentration, awareness, and sensitivity. Bright backgrounds will become pink or dark purple in color. Practice stimulating your peripheral vision (with suggested exercises). Once you're comfortable with the two concentration exercises you should begin looking at human and object Auras. Set the mood, and relax. Sometimes a quick 10-15 minute meditation can help you get into your "right" brain. Dim the lights, bright light you may find distracting until you're good at reading. Go for candlelight, or natural sunlight, those work well. The ideal is not too dark, not too bright. You're looking for soft and uniform, no shadows. Stand about 5-7ft from the object/person you are reading. Have them in front of a solid colored background, darker colors or white are the only ones you should use. Avoid busy patterned backgrounds, this will cause color combining and confusion. It is also helpful if your human subject is not wearing busily patterned clothing. With a relaxed gaze, focus on your subject. Paying specific attention to what you see in your peripheral vision like you did in the concentration exercises. If reading a person, focus on their nose, if the nose is distracting, focus on the “third eye” or spot between and slightly above the eyebrows. If you're reading yourself, put your hand in front of that "blank" background, and focus on the center of your palm. You may "sense" the aura and not actually see it, this works differently for everyone. As an aura appears, you're most likely to see a half inch or less radiance surrounding the subject. At first, it may appear a single color (most common is white/blue/gray or clear), filmy, cloudy, or fuzzy. Until you are used to seeing the Aura, it will most likely vanish when you lose your focus. With practice, multiple colors will begin to emerge, and the Aura will appear larger and more solid. Remember, you need to train your eyes. Be patient and practice. After concentrating long enough, close your eyes. For a second or two, you will only see the Aura. You have only seconds to observe this because your photosensitive cells will stop vibrating and be sending visual sensations to the brain. If you miss it, start over. Record what you see in a notebook if needed to decipher later. Pay attention to any particularly strong color points you see near or surrounding the head. Sensors in our eyes (blue, red, green) are vibration sensors which are non-linear and have memory. The downside to this memory is that those sensors vibrate and fluctuate for several seconds after the stimulation has stopped. This memory of visual stimulation is called an after-image. After images have the same silhouette or outline as original images. After image of a subject surrounded by its aura, however, is larger than the original image. To avoid capturing the after image, it is imperative to focus on one spot when watching the aura and resist the urge to change focal points, otherwise, the image may become confused with the afterimage of the subject. 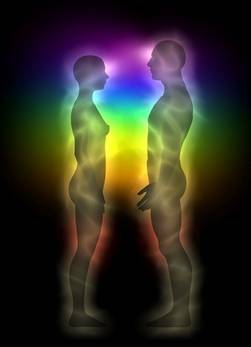 Auras surround the entire body. Most people have one or two dominating Aura colors (see auric pairs). Often they are their favorite colors or show up as Auric pairs, or are base colors. 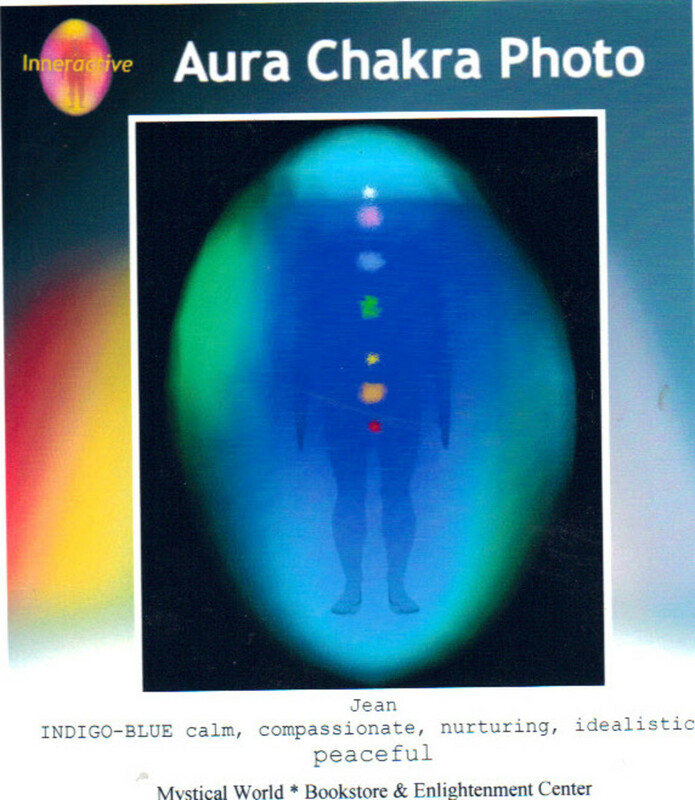 Aura colors are associated with Chakra centers in the body, but I won't go into that here. This is a very basic description and does not take into consideration other things often seen in auras-such as spindles, spikes, lines, stars, rainbows, geometric shapes, holes voids, or dark spots. 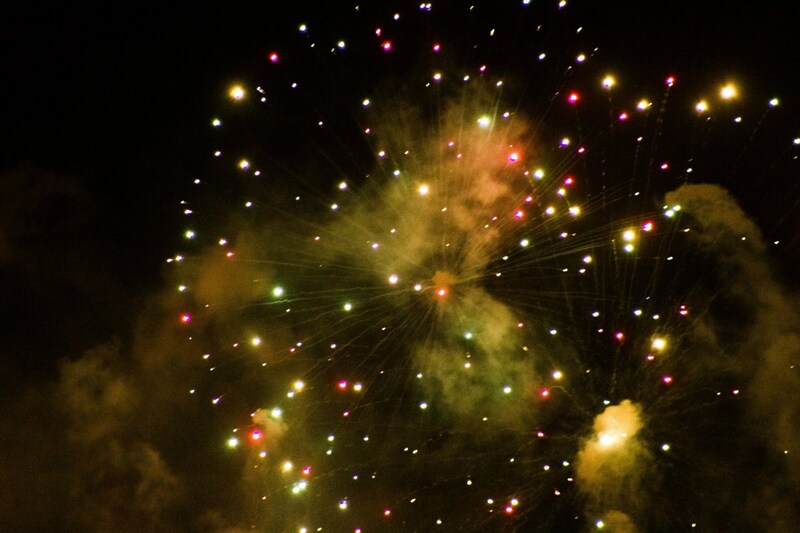 Colors often appear in bursts or clusters together which can help determine what issues they relate to. Brown: unsettling, distracting, materialistic, negating spirituality. Grounding, stable, materialistic, hardworking. Gray: Depression, unclear intentions, addiction, malevolence. Depression, boredom, vague, unsure, possible intoxication or addiction, ambivalence. Sulfur (a brownish yellow color): anger, physical pain or lack of contentment. White: disease, intoxication (substance abuse), lack of harmony or balance with the mind or body. It has been said that before death, the Aura becomes white. On the positive side-purity, hope, peace, growth, protection, balance, transition, health. Purple/Indigo/Violet indicates spirituality. Royalty, high frequency, connection, source, humility, nobility. Purple is one of the few colors to naturally appear in nature. It appears sometimes in those that are highly spiritual/religious but also indicates growth on a soul level. It is a very protective color. Blue: Balance, sustained life, relaxed nervous system, transmitting force and energy. A balance of thought and mind, also survival. Electric blue can override any color in the Aura. Relaxed, open, peaceful, tranquil, absorbing. Turquoise: indicates a dynamic quality of being, high energy, capable of projecting emotions and influencing others. It also suggests organization and boredom when forced to concentrate on one thing. Turquoise also seems to be a rare color to appear in the aura. Some state that this color has ancient roots, and indicates an "old soul". Green: restful, peaceful, reshaping energy, natural healing ability. Strong green points suggest a gift toward natural healing. The stronger the green, the better the healer. Healing, peace, love for and connection with nature, comfort. Green can also mean-jealousy, and indicate financial concerns or issues. Yellow: Inner joy, freedom, contentment, non-attachment. People with yellow points are full of joy, generous and not easily attached to things. A yellow halo is thought to be a sign or signature of a spiritual teacher. Buddha and Christ had yellow halos which have been depicted in many works of art. Happiness, joy, playfulness, intelligence, sharp and studious mind, discipline, security, protection. enlightenment, divine energy. Orange: Creativity, uplifting, controlling, absorbing, Inspiring. Orange Aura is a sign of power, and the ability or desire to control. Like red, orange is also very dense, points toward sensuality, sexuality, freedom loving, free spirit, sometimes scattered energy, a bird that cannot be caged. Red: Regards the physical body and materialistic thoughts. Love, passion, physical strength, endurance. It can also indicate, pain/injury to a specific part of the body, rage, anger, hostility, and conflict. Pink Balance between the physical materialistic and spiritual awareness. Pink is very innocent and loving. When you see pink in an aura, this color corresponds to a very loving and unselfish person. Could also mean that they are "in love". No I can't, but I'm going to practice this so that I can. I see Auras, but I can't determine the meaning very well. Yes, I see and read them. She will learn more as she grows. 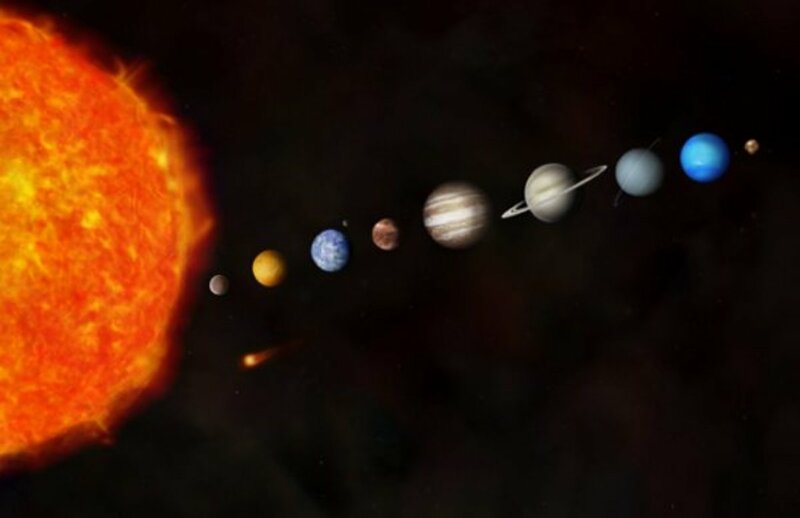 There are different levels to the human energy field so they tend to shift. Emotional will shift a lot more. I wouldn't worry about it, if you're keeping tabs on her health and vision then just talk to her about them. It may also help for you to find resources for her about being highly sensitive. :) thanks for your comment. My daughter has recently started seeing auras. I was told to research but i have no idea what books to get or read. She had an mri to confirm nothing is going on. That's not surprising. You're altering your perception. Black signifies many things, as does white. Black is everything, the subconscious, transition/change, they could also both mean illness. White can be purity, renewal, innocence. but to me it seems like balance. I see the dots in the air. Is that real energy? If so, that is so cool. Also, what is blue sky phenomena? For the first one I have always seen the pairs, just thought it was my eyes messing with me. For the second one, I can focus but can't make a full cross, I can however switch between dominant sides. Was always able to do but never paid attention. Now I'm trying to learn all I can about my abilities. It's energy :) you may also want to look up something called blue sky phenomena. Thanks for your comment. I don't really se auras. But I can see like little dots or something everywhere around me. It's like always here, in the dark I can even better see them. Idk what it is, mabye energy. But it doesn't have any color. And I literally can't see any open space it's that little dots close to each other that I can see. My sight is perfect I can read something really small with no problem, but I really don't know what is that surrounding me. Does someone know what it is? Tonight I had the strangest experience. My husband and I were sitting on the back porch and I started seeing smoke around us. Thin, curly gray smoke, particularly around him. It scared me. I don't know anything about auras and have never seen them or anything supernatural. I googled "seeing gray smoke" and got to this post. Any help or comment will be appreciated. So, when I did the first test I realized that I have been able to do that for years. I would happen when I 'zone out' and whenever my brain would tune back into what was happening, but my eyes would do the same thing that they did in the first test. I would blink and focus my eyes back in because it would always give me a headache. Never realized that I was seeing auras. I didn't know this was a real thing, until I started reading about it. I used to see color outlines (mostly whites and yellows. Sometimes even blueish white) on people and objects, but thought it was lighting or tired eyes. I'm not big on science, but this was explained in such a way that makes sense even on a logical level (regardless of spiritual/religious beliefs). Most people seem out of touch when they talk about auras. So I thank you for making this real, both science and spiritual. 15 months ago from Idyllwild Ca. I've often been told that I have a purple aura. Amethyst, which is purple, is my birth color (February.) I also am highly spiritual and a lover of nature and animals. It's amazing how these signs all tie together in truth and light. I love this informative and interesting article on this subject. I feel that in order to see one's aura we must be highly spiritual, humble and have a respect and love for others. You, are one of these treasured souls. Thank you for bringing knowledge and light to "reading and seeing the aura in others." Enjoyed reading this hub again. When you say "overlook" the images, don't you mean make yourself go crosseyed? That is the only way I can cause the two circles to be overlapped. How does that pertain to aura reading? Isn't the after image that you see while focusing on an object just the negative color of whatever you're looking at? I'm not doubting the existence of auras, I am just wondering how one differentiates between that negative color phenomenon and an actual aura? I have a photo that shows an aura around the person on the photo. However, I think it is most probably the film. This was taken years ago with an old camera. Thank you for yours excellent article. I want to know if we can read auras of stones such as tiger eye and amber . Thanks for the excellent lesson on Aura. I appreciate how you took the time to explain every single detail. Hi Rebecca these photos are amazing when I put these two circşes together at second trying I was pretty shocked please write more :) I want to learn more. Hi Merry Christmas! You have to sorta let your eyes just relax, lose focus. But when you are trying to put the circles on top of the other, you do magic eye? do you remember those? You blur your vision until multiples appear and overlay them. Hope this helps, if not let me know I'll try to explain better. Probably one of if not the most useful articles about auras. Thank you! Hi Rebecca, thank you for a wonderful article! I can't seem to get the second excercise... what do you mean by "overlook" the circles? Some more direction would be so much appreciated! I don't think I understand how to do the second step. When it says "overlook" the circles, do i just stare at the middle of the two like the first exercise and wait for the two to come together or do i have to look at it in a completely different angle? Great article. I've seen auras my whole life. I always thought it was something everyone could see. Now I realize that it takes practice and concentration. What a fascinating hub. This was so useful and interesting at the same time. I might try this sometime. Voted up! Thank you, I needed to know how to practice! For Lovemychris, I am from Cape Cod too! Now, living in Honduras! Okay!I did it!My aura was almost clear,but now it's in color!My Aura is Turqoise! I think i have a problem with my own Aura too.I tried to see my own,and it was grey-ish fuzzy blue,and i could hardly tell it was blue at all.It's odd.I wonder how come i saw turqoise from the red so clearly,but no color on anything else. I did the first one.The red circle had a turqoise color.But the blue circle...it was faint...barely could see any real color..just blurryness. I'm really not entirely sure. I'm going off what I've learned from having them in and around my life. Even though I see them, I am never 100% of their meaning, or what. I even had lasik eye surgery thinking that would stop it, but nope. Why other sources tell totally different meaning of white aura? Very interesting post and educational on Auras. I do sense people's energy fields when I meet them and some people have said the same about me. It is an interesting part of creation. Hi Flourish, you know...honestly, I'm not sure. I go off basic color explanations, but who came up with those meanings? I usually see white. On myself...blue, or purpleish. But I have never truly understood the meanings. My hub makes it sound so easy thought right? haha. It's not! Not for me anyhow. Very interesting. I haven't tried this but love the explanations. Is there a process for telling your own aura, or is that something you don't want to know? This is very interesting. Thank you for this. How to see and read energy Auras is such an interesting useful,informative hub and with great thought. Wow, very good info. I will definitely gonna try reading aura. Very interesting.....THIS is part of our natural gifts that we have forgotten. I'm so glad you didn't! And thank you very much for the info.